Long time no blog! I’m hoping to get things back to how they were now that I’ve left my job. Yes, I finally threw in the towel. All those who know me probably had their money on one month. Y’all lost because I lasted four whole months this time! All jokes aside, it wasn’t all bad and I actually liked it on some level. I still say it was very good for me, but now that school is back in session I never got to see my son. I was leaving for work as soon as he got off the bus and by the time I got home he’d be sleeping. There were a few other issues that made me want to leave, but I’ve been dealing with them all along so I can’t say that either was taken into consideration. So there you have it. I’ll revisit the work thing when my son is either old enough to stay home alone or he’s off to college. Right now my family need me here. I have to ensure he’s eating healthy meals (something that just doesn’t happen at Grandma’s), doing his homework, and studying. I miss our nightly walks and snack runs. I mean if we eat a salad for dinner and get our steps in afterward it only makes sense to treat ourselves a little. So after weeks of struggling with what to do I finally made my decision. And for once I’m at peace with a decision I made. Before I get on to my review I just want to let you know what’s been going on. I finally worked on inventory and input every single makeup/skin care item into a fancy little (big?) spreadsheet. I color coded it so that I now know what I have blogged and what I still need to blog. I also decluttered and reorganized everything. Now I’m working on an updated post on how I have everything organized. I’m obviously going to break the post up into a few parts because it’s going to be very photo heavy. In the meantime you can catch a sneak peek on my Instagram Stories. So if there’s anything in particular you want to see or know please let me know in the comments. Now onto my review. Back when I purchased the Sol and Mar Palettes I also purchased the Paradise City Lip Bundle. 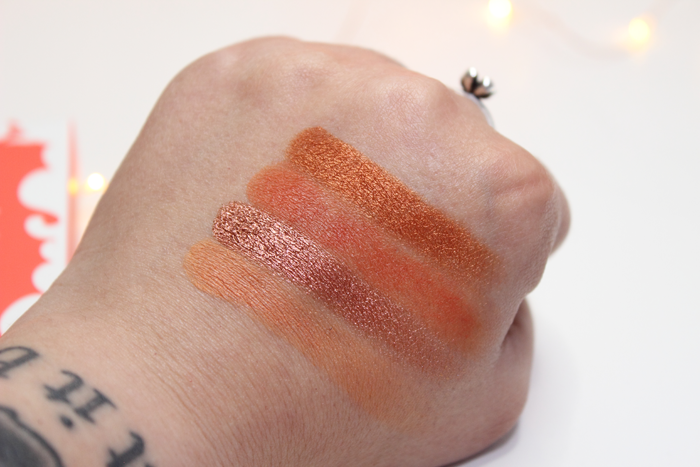 This bundle contains 3 of their Ultra Blotted Lip in Vitamin Sea which is an orange terracotta, Ocean Ave which is a hot orange-red, and Soda Pop which is a plummy rose. This was my first time experimenting with the Ultra Blotted Lip. I don’t really like how Vitamin Sea and Ocean Ave applied. I had to work at them a bit to even it out. Once they dried down I feel like they sucked every ounce of moisture from my lips. Soda Pop was completely different. It was super easy to apply and made for a very comfortable wear. It also happens to be my favorite shade of the trio. 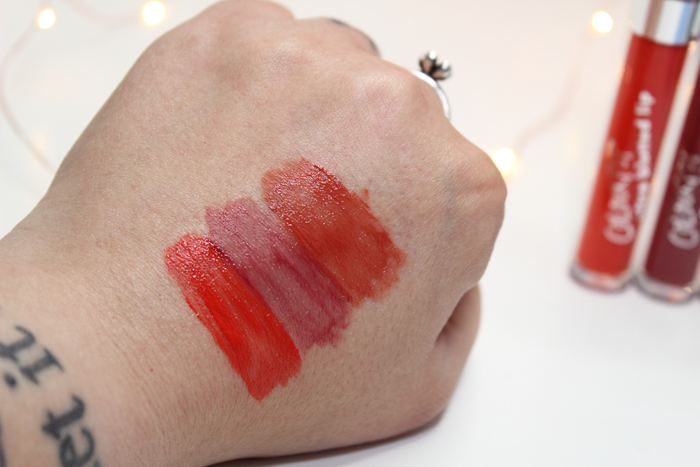 I think the bundle contains some really pretty shades, but 2 of the Ultra Blotted Lip products were just ok. Soda Pop is the real winner here. 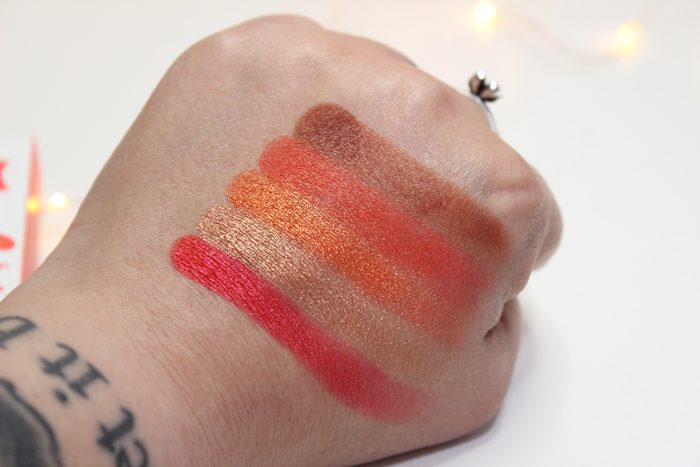 You can see Ocean Ave, Soda Pop, and Vitamin Sea in action below. Have you tried any of the Ultra Blotted Lip? Which ones are your favorite? At the beginning of the year I mentioned how I wanted to shop my stash more and use up stuff I already have. Now that I have a new job and lots of extra money that hasn’t changed. However, I did say that I would make an exception for essentials and the occasional shiny new item. If it catches my eye and I feel like it’s a must-have. Not a whole lot has caught my eye lately. That is until ColourPop came out with some new stuff. Again. It seems like they release new stuff every day. But their Summery looking palettes really jumped out at me. 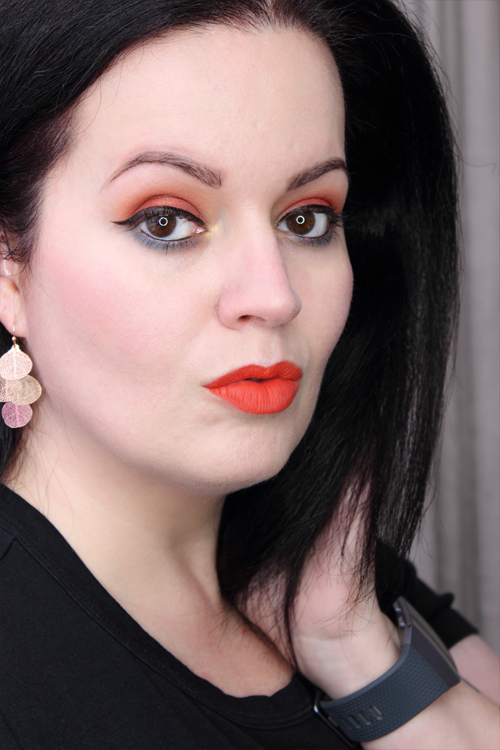 Not that I need to be rolling into work with bright orange and turquoise eyes. 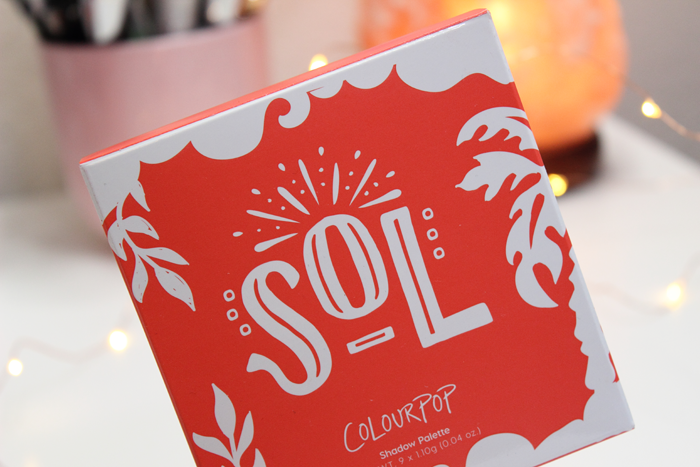 Still, that didn’t stop me from purchasing both the Sol and Mar Palettes. 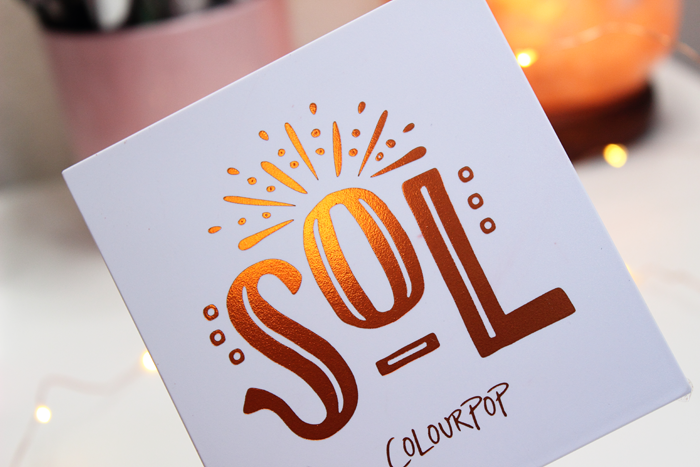 First up is the Sol Palette. The packaging is really colorful and fun. The first thing I noticed was the plastic packaging. All of my other ColourPop Palettes are housed in cardboard packaging. I’m not sure which I like more. I suppose the plastic is much easier to clean. Which is a good thing considering these palettes arrived a little messy. 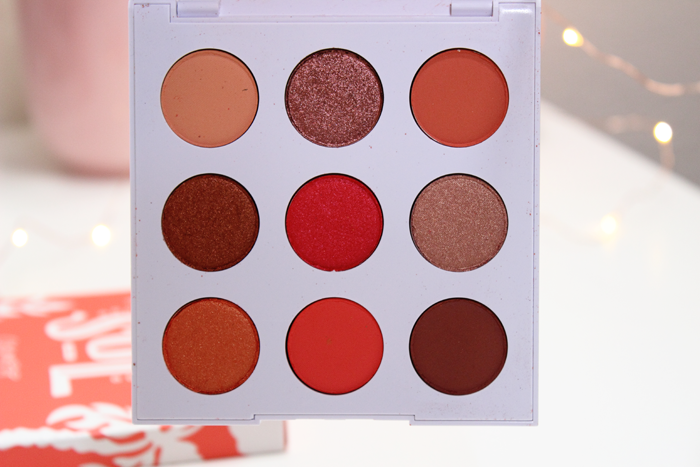 The Sol Palette contains 9 eyeshadows. It’s a nice mix of mattes, satins, and metallics. They swatched and applied beautifully. I never really had an issue with the quality of their products. Some can be hit or miss, but I actually love their eyeshadows. My only issue with this palette is that there isn’t a brow bone shade. Well, one that I’d use anyway. So I did have to reach for another palette to complete my look. 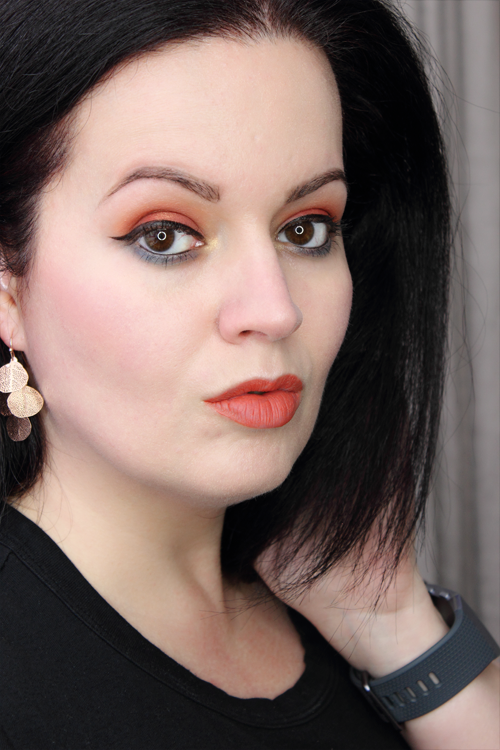 I also used a shade from the Mar Palette to balance out my look so that there wasn’t so much orange. I think both of the palettes compliment each other beautifully. 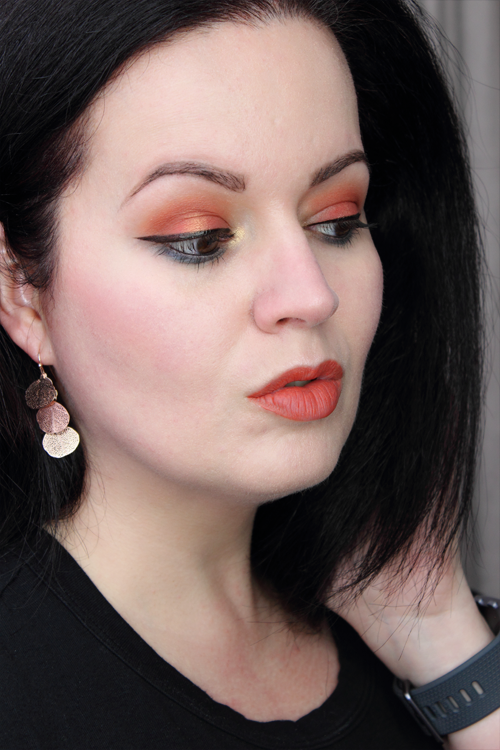 You can see a look I created with the Sol Palette below. I’m wearing New Digs and Dynamite in my crease. OOO on my lid with B+B patted in the center. Detour from the Mar Palette on my lower lash line. El Rey from the Mar Palette in the inner corner of my eye. I used a different shade from another palette for my brow bone. Overall, I’m really digging the Sol Palette. I personally don’t feel comfortable creating a looking using just those 9 eyeshadows. 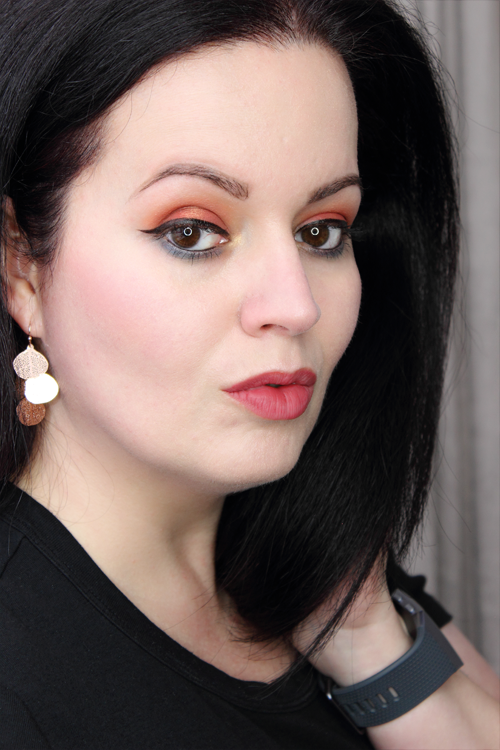 However, it does compliment the Mar Palette nicely and since I did purchase both creating a look I was comfortable with was very easy. A quick update on the blog. I know things have been a little quiet around here. I’ve actually been working behind the scenes a bit. I just finished logging my entire makeup and skin care inventory. This will help me see what I have on hand, what I’ve already blogged, and what I would like to reblog. I’d also like to share my setup again. It’s changed so much since the last time I shared it. I finally have it set up just the way I want it. I’ll probably share that post during the Fall though since I have a ton of decorations that I plan to set out. In the meantime I do have some newer stuff I’d like to share along with some older stuff I have rediscovered. Thank you for still stopping by. It really means a lot to me.